Jesus is the reason for the season, they say. This is undoubtedly true, but despite what Nativity plays and Hollywood epics would have us believe, the story of the birth of Jesus is more complicated than many people think. Between the difficulty in reconciling different versions of the tale and the 2,000 years of popular interpretation and culture layered on top of them, much of what people commonly know about the story of Jesus’ birth, from the date to where it took place, is wildly different from what the Gospels have to say. Jesus was born on Dec. 25. 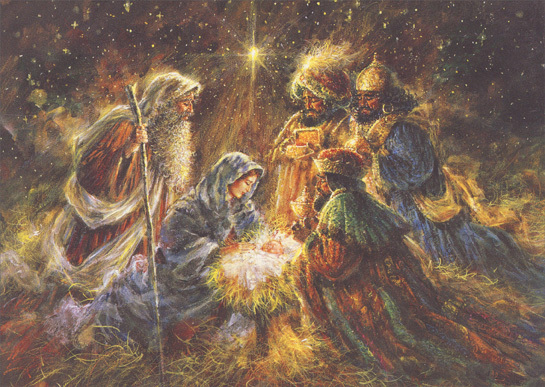 The overwhelming majority of Christians mark the birth of Jesus on Dec. 25. But there’s no biblical reason to celebrate Christmas on this particular day. According to the Gospel of Luke, shepherds were watching their flocks at night at the time Jesus was born. This detail — the only clue in the Gospels about the timing of the birth — suggests that Jesus’ birthday was not in the winter, as shepherds would have been watching their flocks only during the lambing season in the spring. In the colder months, the sheep probably would have been corralled. Some have argued that the date of Jesus’ birth was selected to supplant pagan festivals that were held at the same time. But while Pope Julius I set the date of Christmas (for Western Christians) in the 4th century, Christians did not deliberately adapt pagan rituals until the 7th century, when Pope Gregory the Great instructed bishops to celebrate saints’ feast days on the days of pagan festivals . The real reason for the selection of Dec. 25 seems to have been that it is exactly nine months after March 25, the traditional date of Jesus’ crucifixion (which can be inferred from other dates given in the New Testament). As Christians developed the theological idea that Jesus was conceived and crucified on the same date, they set the date of his birth nine months later. Jesus was born in a stable. As depicted in Nativity creches and Renaissance paintings such as Giotto di Bondone’s Nativity scenes and Sandro Botticelli’s “The Mystical Nativity,” Jesus was born in a simple stable. Generations of pastors and priests have used this notion as evidence that Jesus had a humble birth. As a theological argument, that’s true. But this particular detail of the story isn’t in the Bible. Luke 2:7 states that Mary gave birth to Jesus and “laid Him in a manger, because there was no place for them at the inn.” This makes it sound as if they couldn’t get a room at a Holiday Inn, but the Greek word “kataluma,” which is commonly translated as “inn,” doesn’t mean a hotel in any modern sense. Greek has a different word for a hostel, “pandocheion,” which Luke uses elsewhere in the parable of the Good Samaritan. Clearly, if Luke had wanted to say that Mary and Joseph were turned away from a hotel, he had the vocabulary to do so. The more likely interpretation, as New Testament scholar Stephen Carlson has argued, is that Joseph and Mary intended to stay with his relatives in Bethlehem and that there wasn’t enough room in the guest quarters — typically located in the upper level of a house — to accommodate an imminent delivery. So, Mary had to give birth elsewhere, most likely in the main room of the house, on the lower floor. There’s no mention of animals being present, but the detail of the manger seems to be what has led to the image of a stable — and many live Nativity scenes featuring farm animals. When people talk about a manger scene, or Jesus being born in a manger, or a star shining down on the manger, it’s not clear they always understand that “manger” refers not to a barn but to Jesus’ makeshift crib. A manger is a trough used to feed animals. The word is derived from the French verb “manger,” meaning “to eat.” In 1st-century Judean houses, mangers were found both outside and inside the home, sometimes separating an interior space for people from a space where animals were kept. Thus, in the Nativity story, Mary may have had one at her disposal, despite not being in the immediate vicinity of a stable. “Away in a Manger” was written by Martin Luther. One of the most well-known Christmas songs is “Away in a Manger.” It is often considered to be a Protestant carol, because of its traditional attribution to the German reformer Martin Luther. The first two verses were published in the November 1883 issue of the Sailor’s Magazine and Seamen’s Friend under the title “Luther’s Cradle Song.” The following year a Boston periodical, the Myrtle, also claimed that Luther “composed the . . . hymn for his children.” But even though Luther did pen “Vom Himmel hoch, da komm ich her” (“From heaven above to Earth I come”) for his son Hans, there are no texts in Luther’s writings that correspond to “Away in a Manger,” and there are no documented German versions of “Away in a Manger” until 1934. The carol’s actual origins are probably in 19th-century America. In an exhaustive study published in 1945, musical scholar Richard Hill argued that “Away in a Manger” might have been composed for a children’s play about Luther celebrating Christmas with his children. The earliest adaptation of the hymn Hill could find was in the 1885 “Little Children’s Book,” which mentions neither Luther nor any other author for the song. All of which suggests that the composer of one of the most popular Christmas carols was an anonymous American. Three wise men attended Jesus’ birth. According to the Christmas creche on display in St. Peter’s Square in Vatican City, the best-dressed attendees at the birth of Jesus were the three wise men. Often mistaken for kings — think of the Christmas carol “We Three Kings” — these visitors from the east are described in the Gospel of Matthew with the Greek word “magoi,” or wise men. Nothing about the story’s language suggests that these visitors were monarchs or even that they were three in number. People commonly think there were three because of the gifts enumerated in the Gospel of Matthew: We are told that they brought gold, frankincense and myrrh, but there could as easily have been two, four or eight wise men as three. There’s also no indication that the wise men visited Jesus as He lay in the manger, as is often shown on Christmas cards. When King Herod anxiously meets with them in Matthew 2:16, he thinks his reign might be threatened by the child they’ve come to visit, so he orders all boys 2 years old and younger slain. Thus Jesus could have been as old as 2 — a walking, talking toddler — when the wise men arrived.